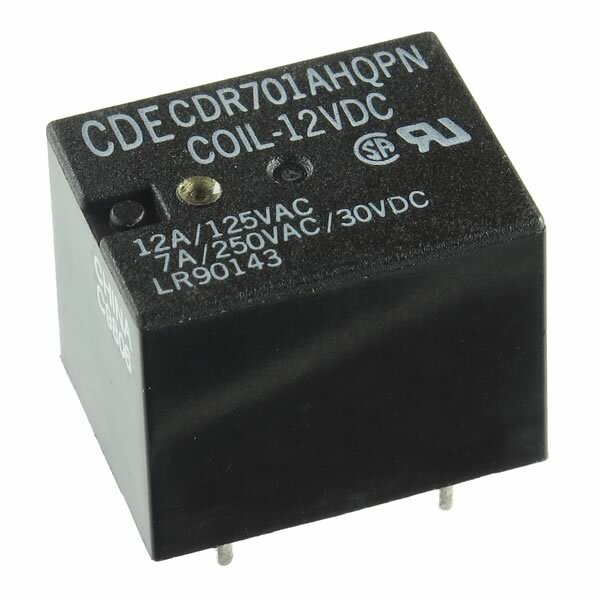 Powerful SPST relay type CDR701AHQPN features N.O. 12Amp contacts and 12VDC 400Ω coil. Size of relay 0.84" x 0.64" x 0.64" tall. Fully enclosed type. Sold in a factory tube of 25.